To combat stress, it is important to know what you're up against. That is when you will be able to take proper action. It was identified to cause psychological and physical problems. 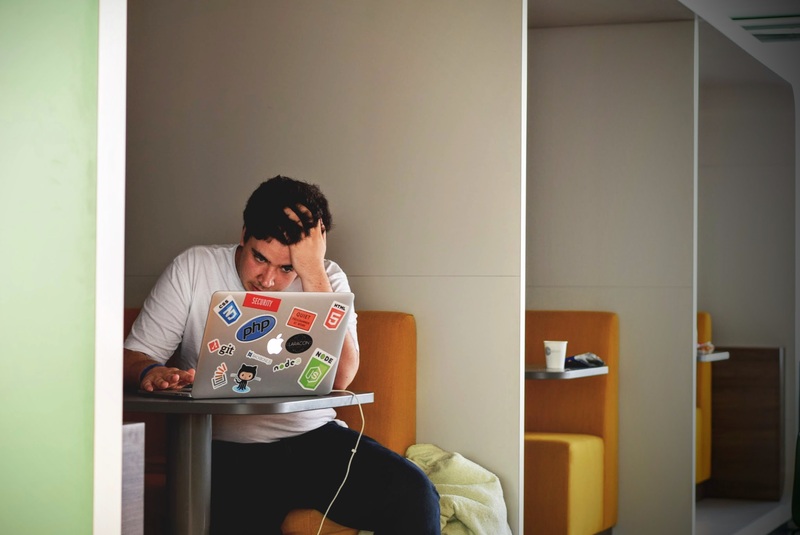 A study conducted by the American Psychological Association shows that 73% of workers experience stress-induced psychological problems such as depression while 77% experience physical symptoms like chest pain or headaches. These affect their general well-being and their relationships with others. High blood pressure is another symptom of stress. Thus, it is important to have a blood pressure monitoring device at home so that you can check your blood pressure regularly. Interestingly, stress does not affect everyone the same way. What this means is that what could make someone to be stressed out differs from person to person. So, a major part of stress management starts with self-awareness. Be conscious of what tends to trigger you to be stressed out. Some of the common warning signs are a feeling of frustration, tension in the muscles, headaches and depression. Keep a stress journal. In the stress journal write down what you have observed to cause you stress. Go deeper by asking why that incident, person or event made you stressed. Write down how you feel when you're stressed out. a) You'll know what to avoid. Anytime you find yourself in a situation which is likely to cause you stress, you should set your boundaries and stay away from it. For example, if you identified that a series of meetings all holding on the same day with no break in between stresses you,you should not accept every meeting or set a time when all meetings must end. b) You'll know how to alter the situation to make it more manageable. Some situations cannot be avoided no matter how hard you try. In such a situation you can alter the situation to suit your needs. For example, shorten the meetings by restricting them to only 15-30 minutes long or impose a 10 minute break to give yourself time to relax. c) You'll know how to adapt to the situation. How can you make it easier to cope with the situation? Making a meeting more light-hearted will help you ease the tension. d) You'll know how to accept the situation. Sometimes all you need to mitigate stress is to accept that you can't change whatever is stressing you out. Fighting or forcing things to go your way may increase your stress levels instead of decreasing it. Just accept, forgive and let it go. Eliminating stress is not something that is feasible. The best anyone can do is to manage it. Stress management is an effective way to protect you from the harmful effects of stress; it is achieved through a series of techniques or strategies. Stress-management techniques are made of activities that will alter your habits, diet, thoughts and lifestyle, targeting the root cause of stress. Pressure of time is one of the major causes of stress. Unreasonable deadlines, heavy workload yet so little time and desire to get more things done in less time can cause a lot of tension.With effective time-management you can learn how to make good use of your time, be productive and still keep aside to relax. Exercise helps to release the "feel-good" hormones, endorphins, which are responsible forboosting your mood. Stress causes depression, so with exercise you not only feel happier you'll feel confident too. A 20-30 minute exercise is ideal to do everyday but even small increments of 10 minutes can do wonders. In addition to this, exercise keeps your mind engaged such that you're not bogged down with negative thoughts on your problem or worries. The food you eat, what you drink and even when you sleep can affect your stress levels. For example, the caffeine from coffee and excessive sugar from sugary snacks are effective energy boosters. However, once their effect wears off you end up feeling worse off than you started. In such a state you will feel irritable. The same goes for lack of sleep. An average person needs at least 8-9 hours of sleep a day. Anything less than that reduces your productivity and as more work piles up, you'll find it difficult to cope which will cause you stress. 3. Stress-levels are under your control. Not all stress is bad. The reason why elimination of stress is unrealistic is because you need some stress for you to survive. A certain amount of stress can motivate you to make sure you get your projects done. Positive stress motivates you to complete challenges and accomplish tasks. However dealing with or managing negative stress is something that is in your control. Until you take responsibility, you won't be able to manage your stress. You have to acknowledge that your stress needs to be dealt with. Acknowledging you have a problem is a prelude to taking control over it.